yogurt is very rich in calcium, low fat yogurts are good because saturated fats which are bad for cholesterol level are out. I enjoy my low fat plain yogurt by adding cinnamon, sweetener, dried fruits, honey, fresh fruits …the list is endless. Just today I tried out cinnamon, whey protein powder, peanut butter and pinch of sweetener….WOW…its just very yummy. 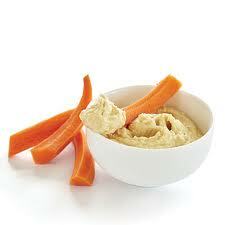 100 g of my low fat plain yogurt is 46 calories…I normally eat 200 g.
Melba toast is dry, thin crisp bread. I love it with either peanut butter or cheese. Especially laughing cow light cheese. 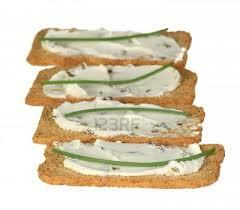 6 melba toast is just 72 calories plus 25 calories light cheese, not bad for a snack. 4. Fruits and nuts like apple, orange, berries, almond, peanut etc. My favorite is almond nut, I eat it sometimes with apple and its filling too. A serving of almond nut is 20 to 25 almonds (1 oz or 1/4 cup) which is 164 calories.